I have this thread, if you guys have any question, which you want to ask. Post that here instead of opening insane new topics and one liners. be respectfull and thank full to the person who provide you the info. remember we are all here to learn. Psychosaint i have a question regarding F-16 Block 60 and Rafale my question is which is the better aircraft out of these two secondly if Pakistan could buy F-16 block 60 would it return PAF the edge it once had over its enemy plz dont mind my question like you said we are all here to learn another thing if Pakistan could get any of these two aircrafts which one do you think PAF would want??? Well as for as my knowledge, Rafale is almost a generation ahead than F-16..It will surly win.As for as return of air supermacy is concern i think F-16 is not a good choice..no matter which veriant we r talking about..Rafale is only answer for MKI at present. JSF can cost less than mirage-2000-5?WHat makes it cheap even less than F-16 blk50? the thing you look at it is reliability, pricewise, parts, training, inferastructure etc. Rafals are damn expensive, if you look at the price tag only for the plane and then comes training, Crew, inferastructure, parts. which is gonna cost any airforce alot. F16s, cheap, reliable, already tested and experienced with. parts are cheaper by far if you compair it with rafales. proven tech, and still one of the feared and honored Strike plane, Aim-120 and much variety of ammo can be carried, has long range. not much behind of Rafales. but then you look at the politcal reliablity. French are more reliable than USA. but Price is high and its worth it to go for rafales if you got BUCKS. in the end it all comes to money. i will try to post more info on both of thier on tech specs. so it can help you understand the missions and in details about both Fighters. The Tomcat is believed to have been the world first fighter to have a look down and shoot down capability.This capability was the last major gap to be closed in air defense. It is also claimed that the F-14 Tomcat not only have capability against hostile aircraft but also Sea Skimming anti-ship missiles. look-down / shoot-down capability against low-flying targets which might otherwise be obscured by the terrain below. I hope it will help you to understand the concept. it is mostly for low flying targets. the pilot can look down and shot those low flying target. About the F-16s and Rafales. The F-16, no matter what version has a huge and fast production line, and delivery of the aircraft isn't a big problem. The Rafale's production line is less than 10, and thats including exports, if someone wants to increase it, then that menas coughing up hte $$$. I will answer your first part of the question later. yes Stealth can be detected. there is a possibilty. but for the second part. Why JSF is cheaper than F16s. it is simple, Big production line. lots of countries are standing in line to buy it. Only USAF will be buying it in number. then almost many countries from europe, Middleeast are in line standing to buy it. some of the countries have already placed the order which helped to braught the cost exremly down. the same thing happened to the f16s. because now the development cast has been shared and due to the mass production is cast came down automaticaly. simple economics. supply and demand. Yes i will try to bring more info about Stealth detection. i opened that topic long ago, it was very detail about stealth detection. let me see if i can find that article for you. it was very informative. Edited by Psychosaint, 02 October 2004 - 01:07 PM. There are stealthy acs , proper stealth is still B-2 and F-117 . to be in J-231 radar developed by china not sure if it is deployed yet. Edited by usmanali, 02 October 2004 - 01:19 PM. What is the H-2 H-4 series of missiles/bombs that Pakistan ha made. Are they Air to air missiles? Are they Air to ground Precision guided munitions ? Here we go with JANES. The weapon systems definetly are standoff AGMs. Pakistan is believed to have successfully completed a second test firing of its clandestine H-4 missile system, according to December regional media reports. Reports of a first test emerged in April 2003, stating that the missile was fired from a Mirage III fighter aircraft and successfully destroyed a target drone. In the April reports, the H-4 was described as an active-radar air-to-air missile (AAM) and most observers saw it as no coincidence that reports of Pakistan's programme emerged immediately following the first test of India's Astra AAM. The latest reports describe the H-4 as an air-to-surface weapon and refer to two variants, H-4 and H-2, with a stand-off range of 120km and 60km respectively. While it is not possible to confirm all details of the H-4 programme, Pakistan is long thought to have fielded a standoff precision-guided weapon system akin to the Raptor series of powered glide bombs developed in South Africa. Sources in Pakistan also suggest a South African connection to other Pakistan Air Force weapon programmes. The Raptor family was developed by Denel (Kentron) under the codenames H-1, H-2 and H-3 from the late 1970s onwards. It is known that Denel has undertaken integration studies for the Raptor with the F-16 and Mirage aircraft. Pakistan's F-16s have a primary air defence tasking, while its upgraded Mirage IIIs are allocated a precision-guided munition delivery role. 1) My question is can Raphale pull 9g's for extended period? 2) if not then wht are the chances of raphale against Typhoon in WVR?? 3) does Typhoon have AESA? 4) If not wht are the chances pf Typhoon against Raphale in BVR ?? Yeah, and MiG-23 was the first soviet fighter to have it with the Saphir-23 and AA-7 Apex missile. Get loads of IRST, long-wave radars, multi-static radars, Ladars (high-power beam radars), visual spotting stations, constant CAPs by fighters like MkI with OLS-30 and PRAY !!!! Oh and yes, make radar coverages overlap to the maximum possible extent. And about JSF, i think it has got to do with the manufacturing technique rather than equipment. The development cost decreases due to inputs from F-22 programme. i have a question that is it posible that, could AGM-88 HARM (anti radar) use against indian AWCAs??? cuz u know it is made to kill radars, so is it posible that it could lock on to AWCAs?? Any plane`s full capabilities are not on paper since much depends on the fate of the poor pilot inside rather than finding out the limits of a plane`s capability . 2) does Typhoon have AESA? Both are very modern . Typhoon is a multi nation effort while french withdrew and went for rafale . the capabilities in future are set be not far apart . Typhoon is having lots of technical problems due to its complexities not present in rafale . both are set to field Aesa in few years both are bvr armed and with latest missiles . It remains to be seen if Typhoon`s complexities are solved or not in time . Its an Air to Ground Missile for radar sites . Dear Psychosaint and other seniour members on this forum i have a important question regarding F-7MF these days F-7MF are being discussed that it was a back up project incase JF-17's project failed, now from what i have read F-7MF is an excellent replacement for F-7P's and F-7MF is an excellent air defence fighter which would be fully BVR capable and it also has a big nose to host a good rader it is also said that F-7MF will be able to carry SD-10, PL-9C and it also would have an HMS in it. NOW my question is isnt F-7MF an excellent replacement for F-7P's so is there a chance to see this jet in PAF colors second why do peoplle on this forum say that F-7PG is better than F-7MF when one can clearly see it is better? plz do answer my question dear Psychosaint thank you. Well goodman, u have know the strength of a 5th gen fighter and its weak link. Strength is stealthy design, and weak link is radar usage. They depend on virtual radar, ie - they downlink info from AWACS and other Command centres and process it to act as their radar. Now they use secure data-link, do something to jam it - somehow !! Take a large task force (sort of kamikaze) to take out AWACS and re-fuelers, so that they fighters will have to use their own radars. Now u use a good passive-homing missile and other BVRAAMs to take out the chokers. Place snipers in the form of smaller figthers like Mirage-2000-5, flying very low or very high and order them to take a clean shot while the MkI engage them up front. Dats all i could think of - its tough, comment anyone. why is the JF-17 critsized as being an underpowered fighter aircraft?, which has poor capability and is inferior to the F-16A? i heard a while ago that the RD-93 enables the JF-17 to have super manuverability is this true? Super-agility is the ability to maneuver in post-stall situations. JF-17 does not have it, late flankers, F-22 etc have it. RD-93 is smoky and is error prone. HOW MANY AL-KHALIDS DOES PAK OPERATE SO FAR ? i think the numbers are some where between 100-200. i will confirm and will let you know. Why is that thre was no ceremony of handing Al Khalids to Army like AlZarrar? The reason for the smokey engine was the poor quality oil which was used in the engine, it was of none-nato standard. 33 & 93, both are smoky not due to oil but due to design. 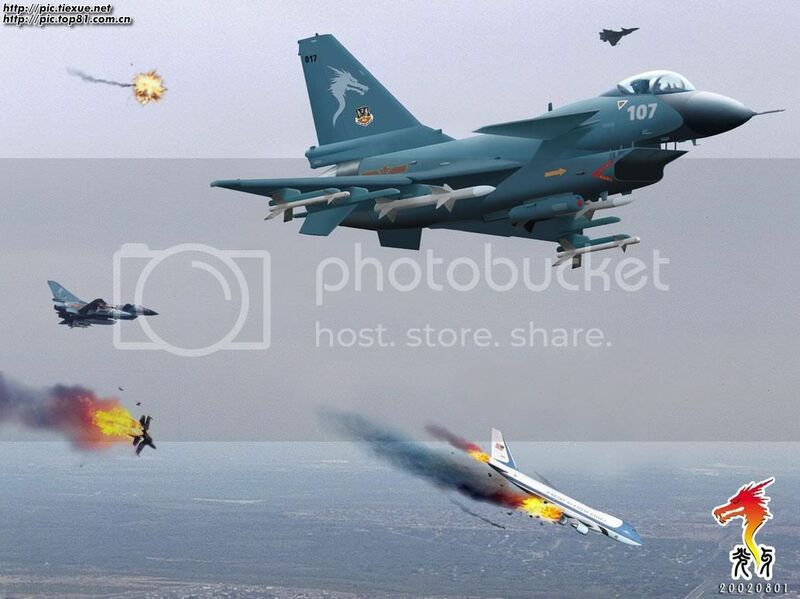 Dats why MiG-29s smoke in every nation. Hey its good to know i'm not the only one that under the age of 15.
my question is about Pakistani F7 pgs . Can they be soon fited with sd10 capability and same question about rose upgraded mirages . PG can carry SD-10 with a little modification of pylons. Mirage-ROSE can also do the same. It can also carry Darter series BVRAAMs. Like the BISON, PG will not be able to use the SD-10 to its full range, which will hurt more in case of PG coz SD-10 may have a better long range performance than R-77. But since both are close-range fighters, it is good enough for them. And the results will be on what basis? what the hell is that suppose to mean?